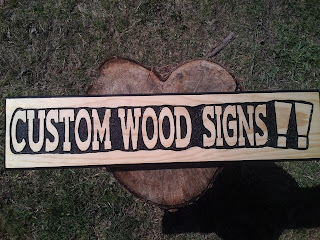 Announcimg the launch of my wood crafting site. Up to now I have been primarily relying on etsy as my only web presense, but lately I have found that lacking. I wanted my own domain I can stamp my signs with to refer people to, as well as a place to show off all the work that I have done, even if they aren't for sale (such as some of the cool custom work I do). Btw, if you want to take payments for credit cards, use Square...cheaper than any other way and as mentioned, free shopping cart, no listing fees, and you pay the same if you swipe on smartphone, or invoice (square lets you send invoices to email like paypal). They also transfer the money to your account next day automatically. We get free processing if you use my link there too.